They (MEK) are still on the terrorist list. The laws still apply. It is illegal in every sense of the word to finance them right now, said Trita Parsi, founder of the National Iranian American Council, a non-partisan community organization based in Washington. The actual sum being paid to these officials is vague, but judging by the fees handed to certain individuals, the total could be in the millions. For example, Rendell was allegedly paid $150,000 for seven or eight speeches, according to reports. 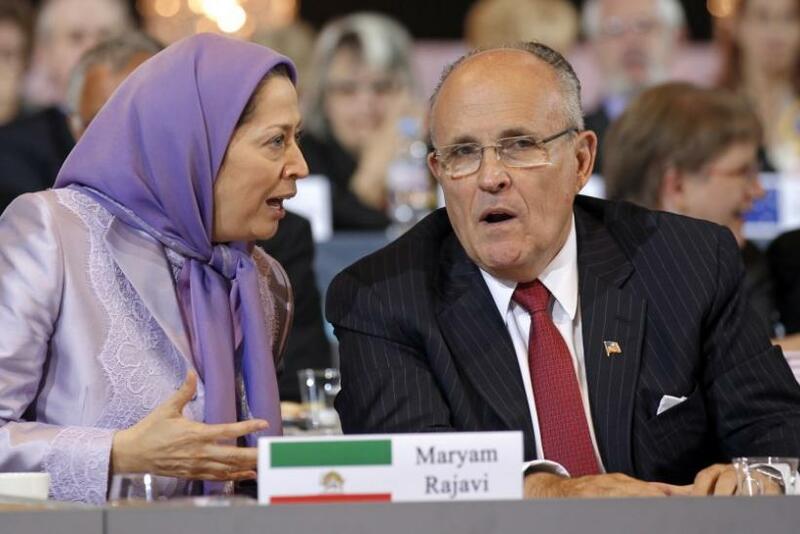 Giuliani, who spoke in at a conference in Paris, France on behalf of Iranian resistance figures alongside 18 other international guests, has been known to charge up to $100,000 for a single appearance and sometimes demands private jets to charter him to appearances. MEK called the allegations outright false, but Israel has neither denied nor confirmed its own involvement in the attack. If the NBC report is true, Israel would not be the first government to pay for MEK's military expertise; from 1980 until the invasion of Iraq in 2003, MEK was funded by Saddam Hussein. Following the adage the enemy of my enemy is my friend, MEK joined Hussein during the Iran-Iraq War and fought viciously against the Ayatollah's forces. MEK made Camp Ashraf, which is about 55 miles north of Baghdad, its permanent headquarters in 1986. Between 1978, when I became MEK's supporter, till 1996 when I escaped, through use of different techniques of mind manipulation I was forced to give them whatever they asked me, explained Masoud Banisadr, MEK's former U.S. spokesperson and the second cousin of Abolhassan Banisadr, the first president of the Islamic Republic. First any capital or material things we had; then any love, attachments or relation we had with our country, our family and friends in Iran; then when they asked all members to divorce their spouses, I lost the love of my life, my dear wife and could not see my children for almost six years; I lost part of my health, and many times were on the edge of dying for them. A 2004 FBI investigation uncovered a glut of shady fund-raising operations. According to the report, the voracity of which has been called into question, money raised by the Los Angeles and Washington D.C. cells was transferred overseas through a complex international money laundering operation that uses accounts in Turkey, Germany, France, Belgium, Norway, Sweden, Jordan and the United Arab Emirates. It's much easier to move around money in Europe because MEK is no longer on the watch list, said Parsi.